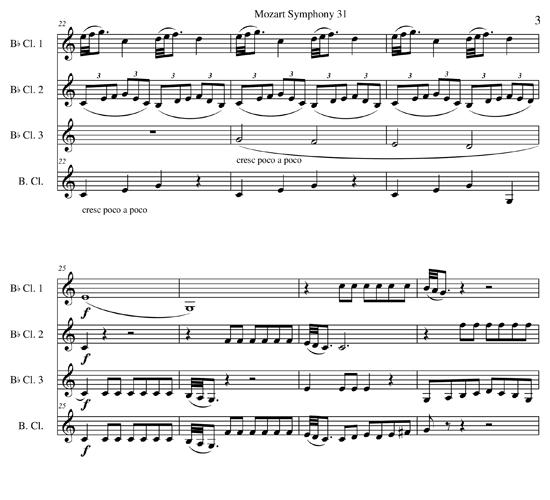 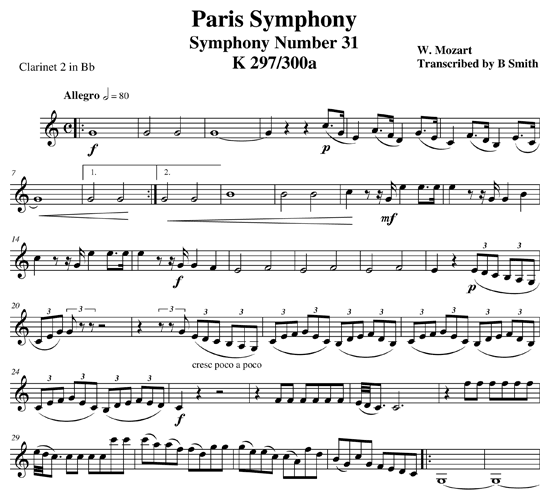 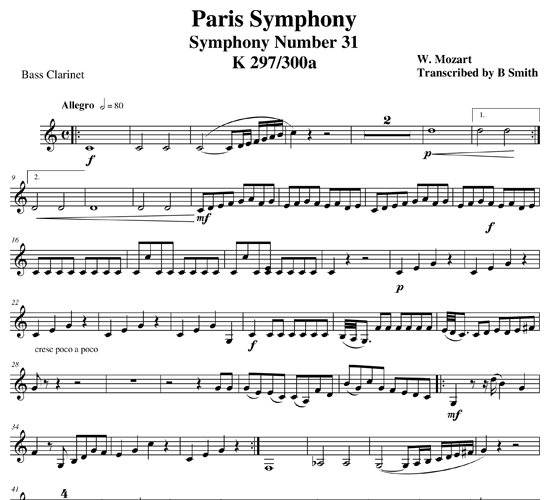 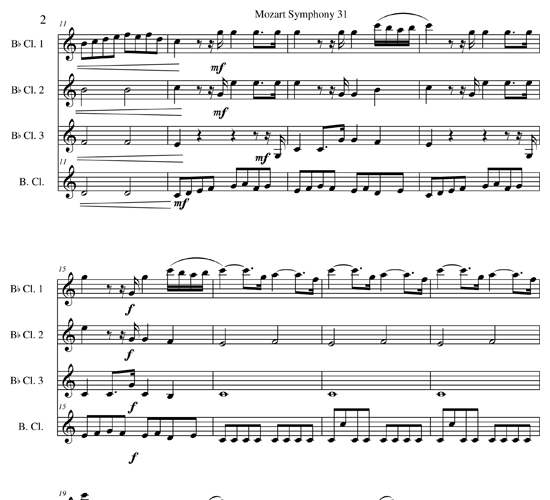 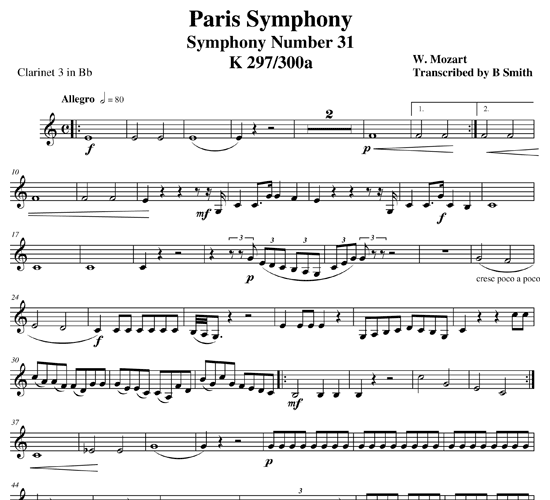 This symphony was composed by Mozart at the age of 22 while he was living in Paris. 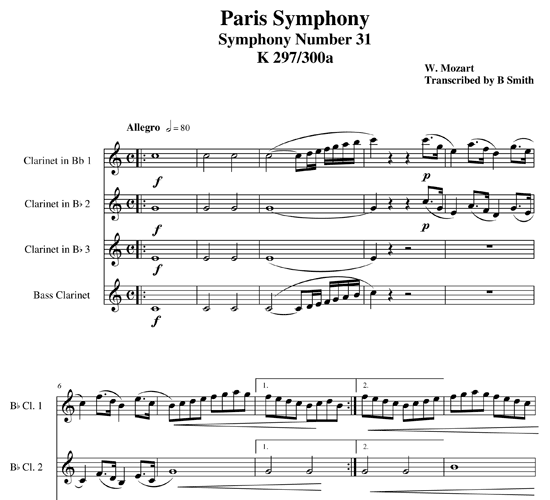 It is one of only six of his that include clarinet. 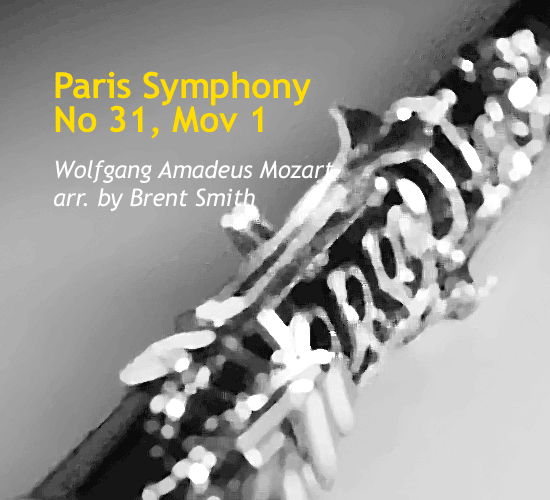 Notwithstanding Mozart’s trepidation about how Parisians might react, this symphony was well received in 1778 and indeed, still today is recognized as a unique example of his versatile ability to please his audience. 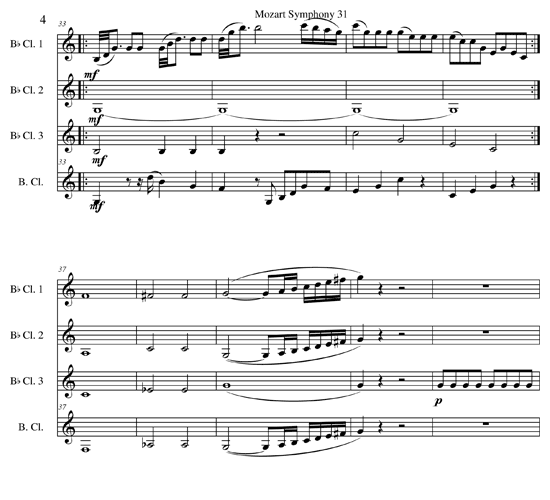 In this arrangement, the three Bb clarinet parts are treated as more or less equals, with the melodic elements passing from one to the other in a cyclic manner. 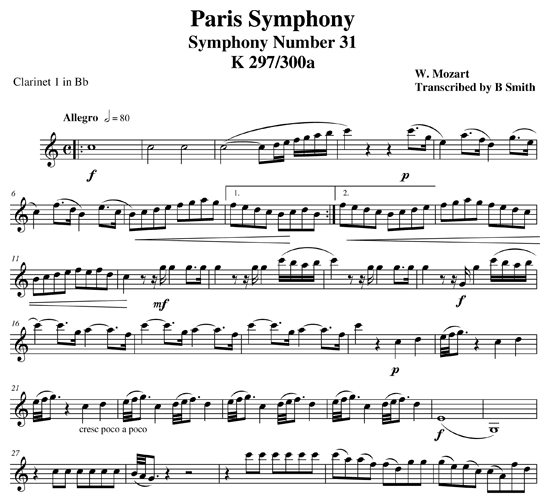 It’s a fun piece to play and to hear.